You don't need to visit a gym to burn fat. Instead, you can perform short, intense bursts of exercise at home, burning calories that translate into weight loss. When it comes to exercising at home, the most important factor is intensity. If you are short on time, putting your all toward an intense workout session equals serious fat burning. It's also important to engage in some muscle-building exercises. You don't have to don gloves and take to the ring to experience the benefits of boxing, which include toned arms and buttocks, according to "Marie Claire." At home, use this boxing circuit training and repeat as many circuits as you have time. Begin with a light warm up, where you do short punches and jog in place. Squat for a minute, then alternate punches with either arm for one minute. Perform two minutes of alternating lunges to tone your legs and then switch to one minute of freestyle boxing in which you jab, uppercut or perform a roundhouse punch. Finally, squat down and alternate jabs to target your legs while still burning fat. Jumping rope is an easy exercise in which a 155 pound person can burn over 700 calories an hour, according to Harvard Health. Jumping rope allows you to go at your own pace and build your skill level while burning fat and toning your legs and arms. To begin, clear plenty of space for you to turn the rope. 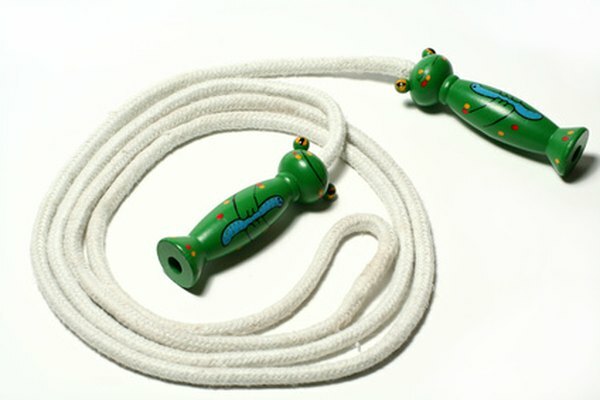 To stave off boredom, listen to music or watch television while jumping rope. You can do intervals--jump for 30 seconds, rest for 15 seconds, then repeat--or simply keep jumping rope for as long as your lungs, legs and feet will tolerate. In the sports world, plyometrics are used to build strength, speed and agility, according to Performbetter.com. Plyometric exercises are essentially jumps that incorporate a certain goal, such as reaching for a particular height or jumping over an object. To reap the fat-burning benefits of plyometrics, set up an obstacle course using household items. For example, lay a broom on the ground, then jump back and forth over it for 20 repetitions or focus on jumping as high as you can, using your arms to propel you as if you were shooting a basketball. Repeat for as many minutes as you have. Be sure to warm up by jogging or marching in place for five minutes before engaging in the jumps.